In times of crisis, the answer is entrepreneurship. As youth unemployment and underemployment rates continue to rise to historic levels in countries across the planet, the time has come for the young generation to take destiny into its own hands and start building its own businesses. With the advent of social media, video chat technology, and most recently crowdfunding, the environment for youth entrepreneurship has never been more favorable. Last weekend, One Young World (OYW), a global summit for future youth leaders, congregated in Pittsburgh, USA. One of the major plenary sessions at the summit, Global Business (embedded below), was focused on brainstorming solutions to youth unemployment. Five young delegates started by delivering speeches, sharing their unique perspective on the issue, which was followed up by a Q & A from other young delegates in the audience, and then wrapped up with the counselors sharing their opinions. In other words, its not going to be big business or the government who ultimately solve this problem, nor will it be a few members of the older generation coming out of semi-retirement to start companies – it will be our own generation, creating the businesses of the future, today. Richard cited a study conducted in the US a few years ago that showed 100% of sustainable jobs created in the country were developed by new firms, or startups, not from big business. It’s not magic, or miracles, that will help us reverse this trend, its entrepreneurship; it always has been and it always will be. During the Great Depression, people who lost their jobs were left with no choice but to become entrepreneurs and create their own work, and it led to one of the greatest periods of innovation in human history. We know the problem, we know the solution, the question is how? #3 The third step is to have a solution. It has to be an innovative solution and something that can be communicated simply to people regardless of their level of sophistication in the market. Then it’s all action. There’s no need to wait for someone to give you permission to launch a company, with the tools we have available you can move towards the market immediately and start experimenting. Bold, but true. What these two statements go to show is that it’s not necessary to wait to have years of experience, nor to have an investor validate your idea, before you start experimenting. We advocate doing some planning, which is why we created the Building Blocks for the New-Era Business. By going through the strategy kit, business model canvas and/or financial model, anyone, regardless of experience, can be in a position where they can effectively evaluate the merits of an idea. Bad ideas can be discarded, and good ideas can be collaborated around. Then there comes the issue of funding. At the end of the Global Business plenary session, counselor Michael Hastings from KPMG made the recommendation that youth should each contribute small amounts of money to each other’s ideas. This is the whole concept behind crowdfunding. By having a lot of people each contribute a small amount of money to fund a project, new ideas and concepts can get off the ground. 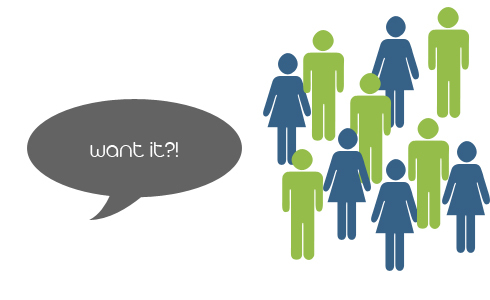 The first step in the crowdfunding process is to build a community around the idea. If an idea has traction in a community and there is evidence that the solution can momentum amongst those it is meant to serve, then crowdfunding is a great way to get the idea off the ground and raise the initial chunk of capital. Community is the key building block in a successful crowdfunding campaign. Of course crowdfunding is not perfect for all types of ideas, but for basic products and services, social businesses and creative projects, crowdfunding is ideal. 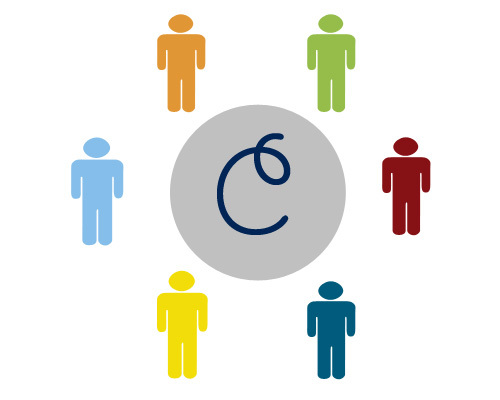 The whole driver of crowdfunding is social capital, which is why ideas that take root within a certain community can become self-sustainable with a well-executed crowdfunding campaign, both because of the money raised and the new connections made. No matter what type of idea you have, every entrepreneur needs a method to finance their idea and crowdfunding provides an excellent mechanism for social-media savvy Gen Ys to make this happen. While not everyone is going to have the skills and confidence to go out and start experimenting with their own ideas right away, crowdfunding platforms function as central hubs for participation and collaboration, allowing people to get involved in projects they care most about no matter what their skill level. Over time, individuals can learn from others’ experiments and progressively gain the prerequisites to try their own. Once an idea has been crowdfunded, the company can expand and develop in accordance with the natural growth rates of the market. Building from the bottom up is after all the most powerful way to build a business in today’s connected world. If investors are needed, then the leverage will be much higher than if you were to just try and get an idea funded in concept stage.